Building materials group Kingspan has made an offer to the board of Belgian company Recticel for its entire insulation and flexible foams divisions for a total consideration of €700m. The Co Cavan-based company said the offer is made subject to approval by the board of Recticel, completion of customary due diligence and the receipt of usual regulatory clearances. 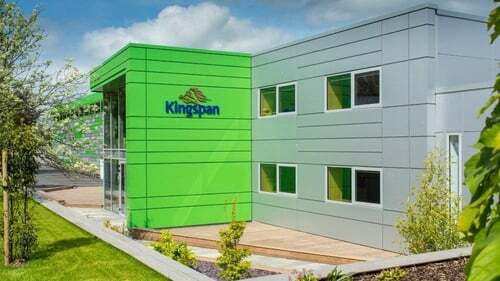 In a brief statement, Kingspan said that is the deal goes ahead, it has agreed an exclusive back to back deal with a third party for the disposal of all of the flexible foams businesses. "There can be no certainty that the offer to the board of Recticel will result in an agreement being concluded or, if concluded, receiving regulatory approvals," the company added. It said that a further announcement will be made if and when appropriate. Recticel's core portfolio is organised around four divisions - flexible foams, insulation, bedding and automotive. Europe accounts for around 93% of its net sales, while it also sells in the US and Asia. The flexible foams business made up 41% of Recticel's €1.5 billion of annual sales in 2017, with the insulation unit contributing 18%. The remainder was made up from its bedding and automotive units. Kingspan has spent just over €1 billion on a number of acquisitions over the last two years, mainly building up a presence in North, Central and South America. Acquisitions contributed 17% to Kingspan's sales growth last year, when it recorded record annual revenues of €4.4 billion. Kingspan shares moved 3% higher in Dublin trade today.